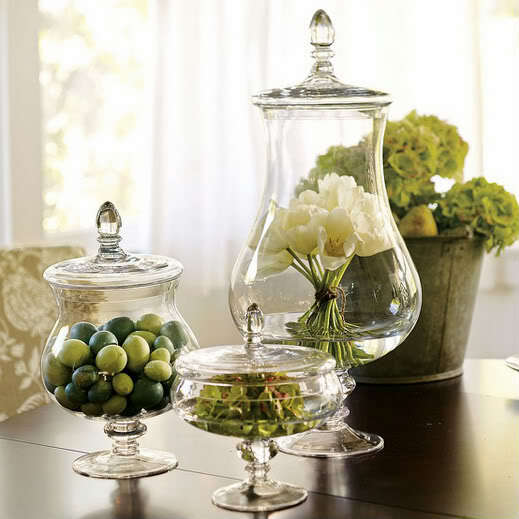 Glass jars and canisters are making their way out of the kitchen and into other areas of the home as decorative display vessels. 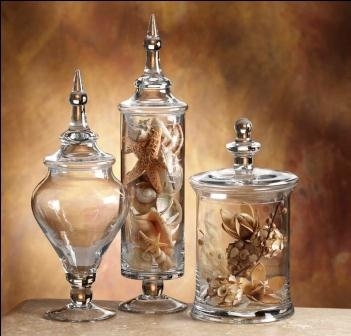 These highly versatile containers make the perfect decorative element in the living room, home office and bathroom. They hold treasures, office supplies, soaps and are perfect for displaying collections and plants. 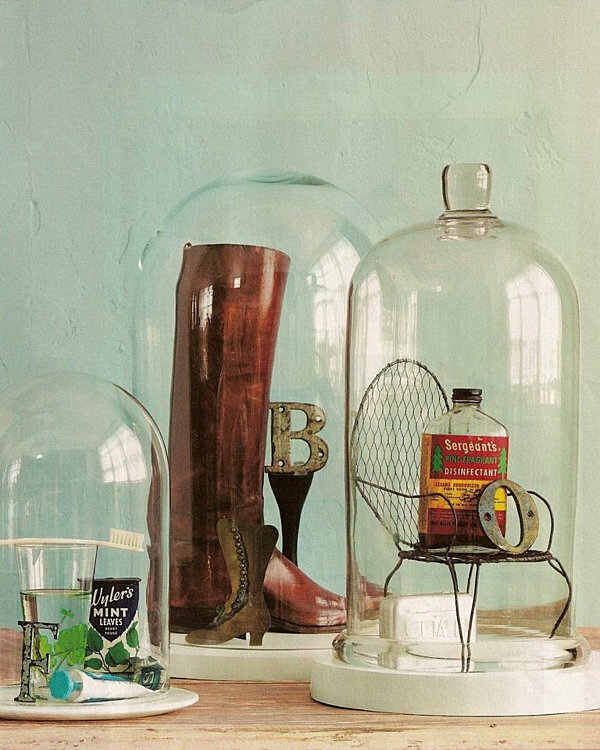 Available in a variety of shapes and sizes, glass jars and canisters can be used to create interesting vignettes around the home. Apothecary jars are a popular choice for their very decorative shape and assortment of tops and sizes. 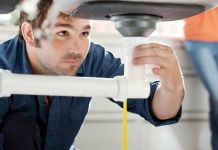 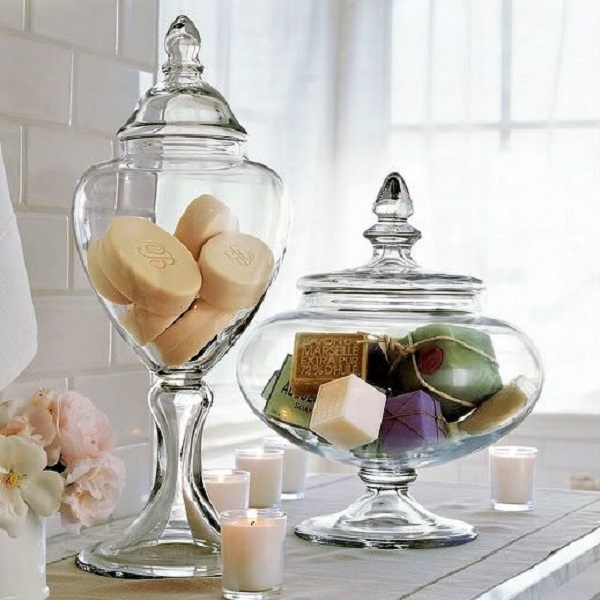 These make perfect accessories for the bathroom to hold everyday items such as cotton balls and swabs. Display decorative soaps or bath salts in apothecary jars and tie ribbons around them for an added touch of charm. 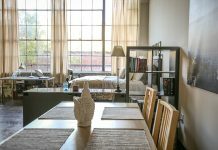 Glass canisters, single or tiered, are perfect for the home office. 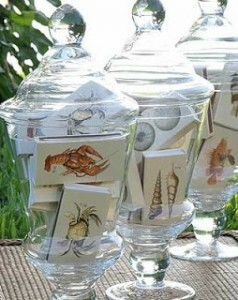 Canisters keep items organized while making an interesting display of ordinary items such as rubber bands and paper clips. 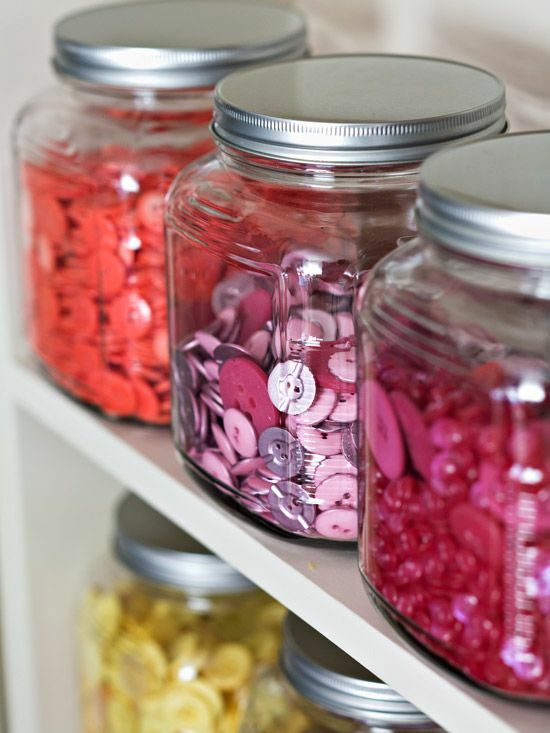 Use glass jars to store buttons and sewing notions or to keep crafting supplies organized on your shelves. The great advantage to glass jars is that you can take a visual inventory of your supplies, while keeping them handy. 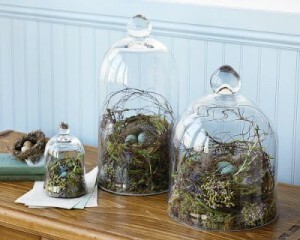 Bell jars, as well as decorative apothecary jars, make wonderful decorative accessories for the living room. 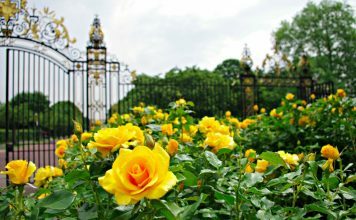 Change them out seasonally with natural elements, such as seashells, rocks, twigs, leaves and nuts. 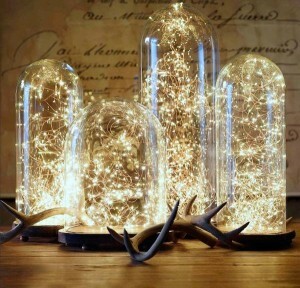 Jars are the perfect way to display small related items or collections. 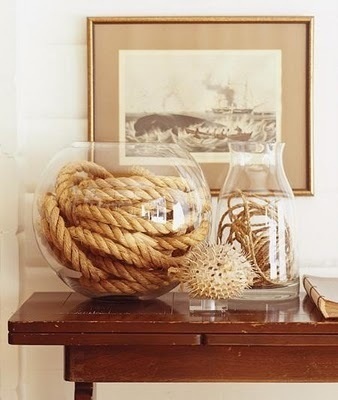 Try mixing various sizes and collections for impact. If you have similar collections, display them in a variety of jars in groupings. 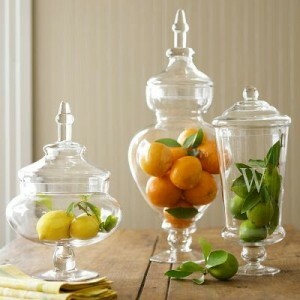 Fruit and flowers can be displayed in jars for a fresh, unique accent for any room of the house. Of course, glass jars and canisters are at home in the kitchen. 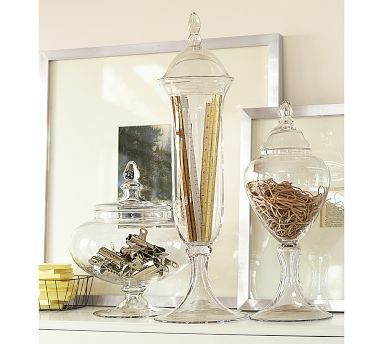 For a pretty but practical display, keep pastas, dry beans and fruit in jars as accents on kitchen counters and shelves. 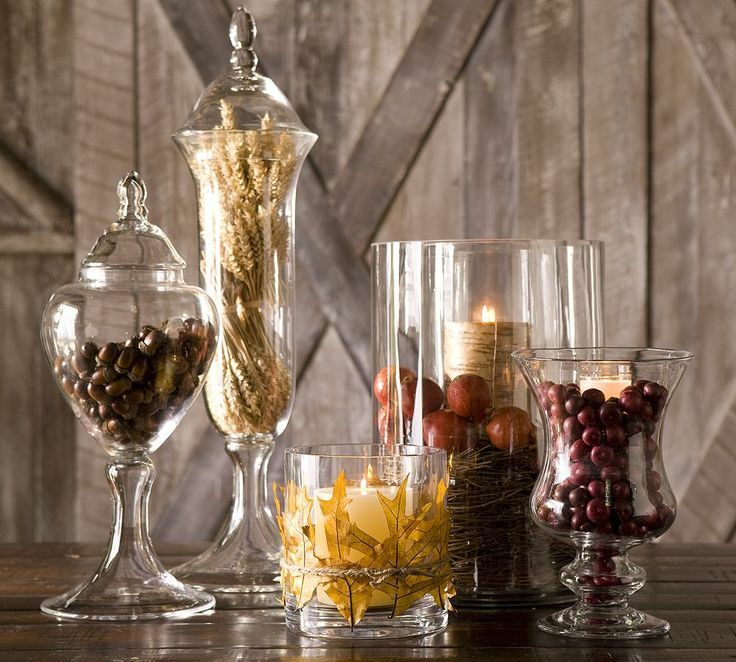 Glass jars and canisters have many uses throughout the home and with just a bit of imagination, you can create interesting and fresh displays.